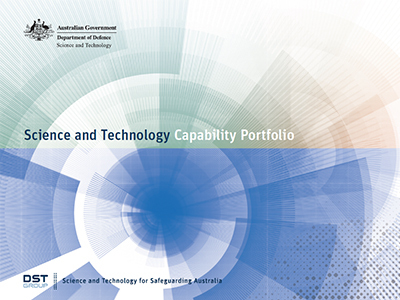 Each MSTC comprises people, infrastructure, science and technology know-how and partner relationships in a combination of a science and defence domain. The science component comprises specialist knowledge, skills and experience of staff in the domain, as well as infrastructure and partnering. The defence component is the context in which our specialist knowledge, skills and experience have impact, including the particular physical aspect or operational context. The booklet also provides contact details for the DST Group Leadership Team.